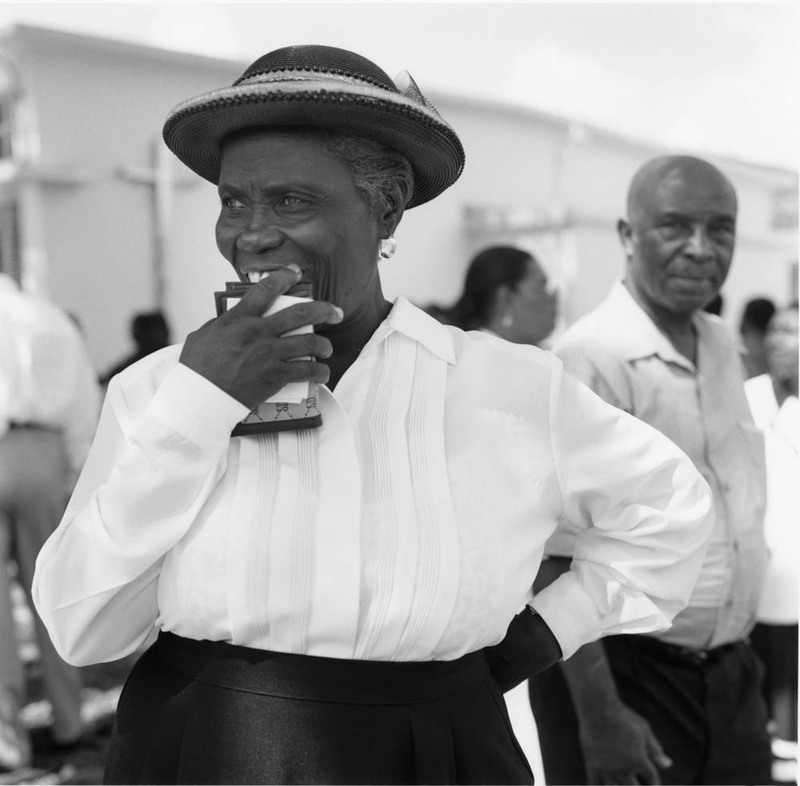 This extraordinary exhibition of photographs of Miami’s Haitian community by celebrated photographer Bruce Weber is part of MOCA’s Knight Exhibition Series and includes approximately 75 photographs taken by Weber from 2003 to 2010. Bruce Weber: Haiti / Little Haiti is organized by the Museum of Contemporary Art, North Miami and is curated by MOCA Executive Director and Chief Curator Bonnie Clearwater. In 2003, The Miami Herald published a magazine supplement of Bruce Weber’s photographs of Miami’s Haitian community. The photographs were Weber’s response to an unjust U.S. immigration system in which Haitian men, women and children were detained indefinitely unlike refugees from other countries who were typically released to family or friends while awaiting asylum hearings. The documentary film, The Agronomist, by Jonathan Demme, had been Weber’s call to arms. In it, Demme chronicled the life of Haiti’s most famous journalist, Jean Dominique, the founder of Radio Haiti Internationale, and his murder by unknown assailants in 2000. Incensed by the violence, political strife, and poverty depicted in the film, Weber asked Demme what he could do, and Demme suggested turning his attention to what was happening to Haitians in Miami, where Weber had a home. Compelled to tell the story of the struggle of Haitian immigrants, Weber immersed himself in the Haitian community, which he has continued to chronicle through the present. Bruce Weber is renowned for revolutionizing fashion photography and the same formal elements that make his fashion and celebrity photographs so forceful contribute to the impact of his Haitian photographs. As Bonnie Clearwater notes, “The strong sense that the figures exist in real space and can be touched, caressed, and embraced makes us feel as though we know or would like to know each of these individuals, and consequently we become concerned with their fate.” “In his fashion shoots he captures what he sees in the models – beauty, youth, strength. This holds true as well for his Haitian photographs. These images convey what he sees and admires in the Haitian children and adults he photographs, — their strength, pride, resilience, elegance and beauty,” Clearwater said. A catalogue featuring an essay by Bonnie Clearwater, poems by Edwidge Danticat, and writings by Bruce Weber and Alberto Ibarguen, will accompany the exhibition. Bruce Weber: Haiti / Little Haiti is organized by the Museum of Contemporary Art, North Miami and is curated by MOCA Executive Director and Chief Curator Bonnie Clearwater. The exhibition is made possible with major support from the John S. and James L. Knight Foundation. Media sponsorship is provided by The Miami Herald. Additional support is provided by Irma and Norman Braman.